The beauty of the nation’s capital is that most of the main attractions are free. The National Mall is the city’s top tourist destination and is packed full of free museums and monuments. The Smithsonian Institution comprises fifteen diverse museums including the National Air and Space Museum, Museum of Natural History and the National Zoo. 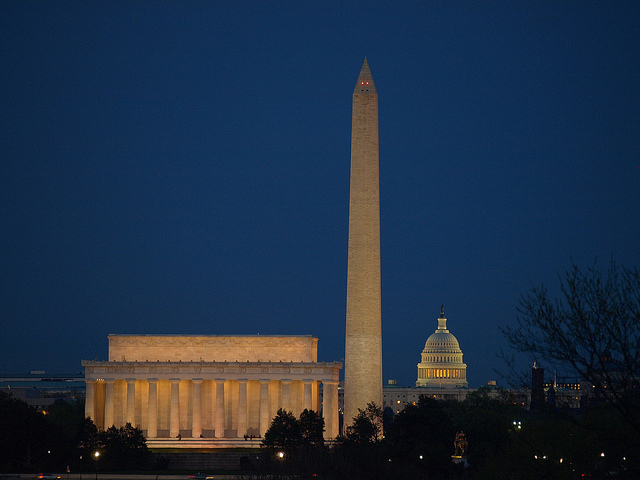 The iconic Washington Monument also stands in the mall and the area is a great place to picnic and relax. Although accommodation isn’t massively cheap in the city, hotel offers frequently come up on discount accommodation websites. Shop around and you should be able to get a good deal. Although typically associated with spending money instead of saving it, a trip to Las Vegas can be surprisingly cheap. Because there are so many hotels it is possible to find a room at a bargain price. Competition for your dining custom also means that coupons and special offers abound for eating out. You might think that taking in a show is out of your price range, but look out for free lounge shows as well as free live music in bars across the city. Meanwhile, many of the hotels actually host free attractions, such as the Silverton’s vast Aquarium and everyone who comes to Vegas should check out the living statues at the Grand Canal Shoppes. As it turns out, Las Vegas can save you a fortune as well as make you one. Soulful New Orleans has a unique vibe that makes it feel like a country all of its own. The key to a bargain break is visiting outside of its two major festivals, Mardi Gras and Jazz Festival, to get great deals in one of the abundant hotels. The culinary diversity of the city includes low-price street food and very reasonable restaurant prices. A myriad of sights can be absorbed just by walking the streets here; taking in the majestic St. Louis Cathedral, strolling the river through Woldenberg Park and poking around the French Market. And when the night falls, the rhythms of live jazz and blues can be heard – without entry fees – in nearly every bar you choose to wander into.